In 1996, Peter D'Adamo's book "Eat Right 4 Your Type: The Individualized Diet Solution to Staying Healthy, Living Longer and Achieving Your Ideal Weight" introduced would-be dieters to an eating and lifestyle plan based on their blood type -- A, B, AB or O. 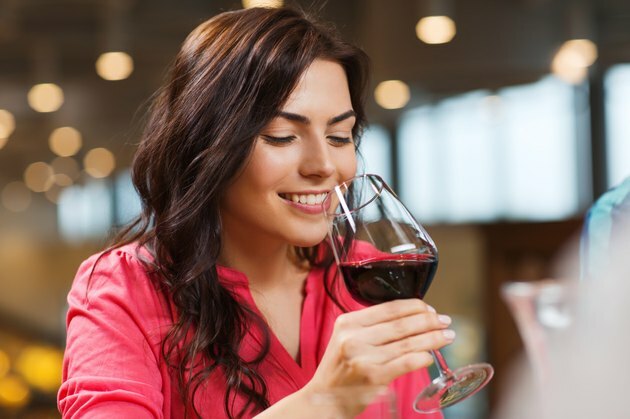 D'Adamo's program, often called the blood type diet, gave specific instructions for what people with type O blood should eat regularly and what they should strictly avoid, including what types of wine are healthy for them to drink. Although proponents of the blood type diet say type O individuals will be healthier, leaner and more energetic by following the type O guidelines, health professionals criticize the plan for not being grounded in scientific evidence. The blood type diet is based on the premise that lectins -- proteins that bind to carbohydrate compounds and which are found in a wide variety of foods -- can cause clumping action among blood cells if they are eaten by someone whose blood type is incompatible with the food's particular lectins. According to D'Adamo, these incompatible lectins can cause weight gain and a host of health problems in type O people, ranging from diabetes to thyroid disorders to ulcers. In addition to lectins, D'Adamo says your reaction to certain foods is also governed by whether you are, in his words, a secretor or a non-secretor. A secretor is a person who carries genes that, acting along with your blood type genes, supposedly regulate your metabolism of carbs and the activity of digestive enzymes such as alkaline phosphatase. Non-secretors lack these genes, and their digestive systems allegedly function differently than those of secretors. To avoid problems with incompatible lectins and secretor status, D'Adamo says type O people should only consume foods similar to those that the type O individual's genetic ancestors -- prehistoric hunters -- ate regularly: lean animal protein and vegetables with little or no carbohydrates and dairy products. He also recommends that followers of the diet use saliva tests provided by North American Pharmacal to determine their secretor status. D'Adamo says white wine is not beneficial for all people belonging to the type O blood group because it supposedly contains compounds that can increase a type O person's risk of developing medical problems, though he does not specify what these problems are or what the compounds are. When it comes to red wine, D'Adamo says type O people who are non-secretors should drink red wine in moderation because it is beneficial for them. For secretors, red wine is listed as being neutral: It supposedly won't yield any significant benefits or drawbacks. Along with red wine, people belonging to the type O blood group are advised to center their meals around meats such as beef, lamb and veal; fish such as swordfish, salmon, cod and red snapper; and vegetables such as sweet potatoes, okra, peppers, onions and dark leafy greens such as escarole, kale, Swiss chard and collard greens. In addition to white wine, they are instructed to avoid beans, nuts, wheat, pasta, all corn products, pork, cabbage, mushrooms and sprouts. While MayoClinic.com agrees with D'Adamo's recommendation to drink red wine in moderation, it does not agree with or support the blood type diet. According to MayoClinic.com, no reputable, objective scientific research studies support the idea that diets based on blood type are healthy or effective. Dr. David Katz wrote in "The Oprah Magazine" that the type O diet guidelines in particular could lead to nutritional deficiencies. Speak to your doctor about possible side effects and dangers before beginning any part of the blood type diet.